The month of April took Bryan and I back down to the islands for a whirlwind trip with the promise of meeting a few key people in the arts of The Bahamas. We got more than we bargained for. Our hope was to continue to gain insight into a community that we truly desire to be a part of but are sensitive to the fact that being non-Bahamians, we will always be somewhat on the "outside". Boy was I wrong. These are the most welcoming people on the planet. 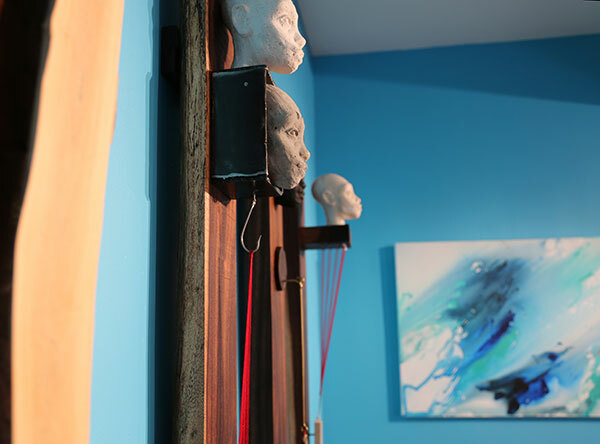 After hearing about the Transforming Spaces show, a collection of seven galleries showing the best of Bahamian (and Caribbean) art, Bryan and I hopped on a plane two days later. Getting off the plane and checking into a hotel, we barely made it to the artists' talk and presentation at the National Art Gallery of The Bahamas. Slipping into the back of the darkened room we began to understand why it was so important that we be there. Not only was the work of most of these artists being shown, but most of them were in the room. 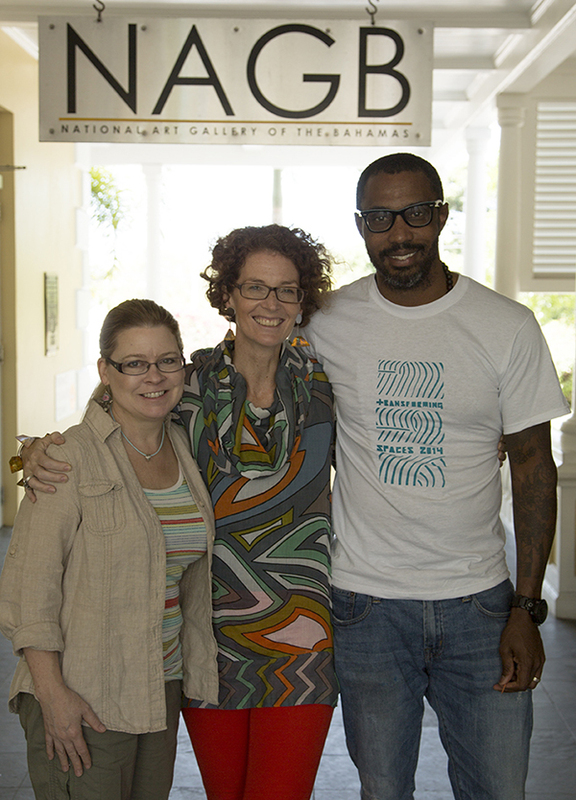 The panel consisted of three contemporary Bahamian artists as well as the Director of the NAGB, Amanda Coulson, who was one of the people we hoped to meet. The other individual who presented was artist, John Cox, the newly appointed Creative Director to Baha Mar. After the lectures Bryan and I managed our way through the crowd and introduced ourselves to both, with a promise of a future meeting later in the week. Both of these generous people took time out of their crazy busy schedules to meet with us and discuss how the Exnihilo Art Center fit into the whole of the Bahamian landscape with the most exciting promise of integrating our programs once the buildings are up. The rest of the week followed with meeting more people, including the wonderful and gracious Pam Burnside, widow of Jackson Burnside. Each day followed in rapid succession as we interviewed and filmed 15 different artists, educators, film makers, and curators about their work, and how Exnihilo could play a part. Although I thought we might get a "day at the beach", it never happened. You know when one of the wait staff at your hotel says, "wow you people work really hard", that you have made great use of every minute. Even if I didn't get to put a toe in the water! What does this all mean for Exnihilo? We continue to develop the mission while forging new friendships to help carve out a place where Exnihilo Art Center will make a difference. It is our hope that we can truly be part of the island family. Pic at bottom: L-R Blair Anderson, Amanda Coulson, Director of the National Art Gallery of The Bahamas, John Cox, Creative Director for Baha Mar. Blair on a sculpture at Transforming Spaces. 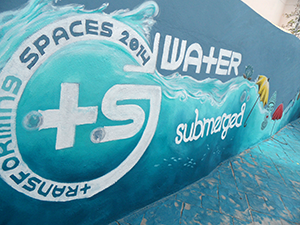 This month we had the chance to take the plunge into the exciting things that are happening with art in The Bahamas. Bryan and I traveled to Nassau to view "Transforming Spaces", a multi-gallery tour in its 10th anniversary year of showing great Bahamian art. 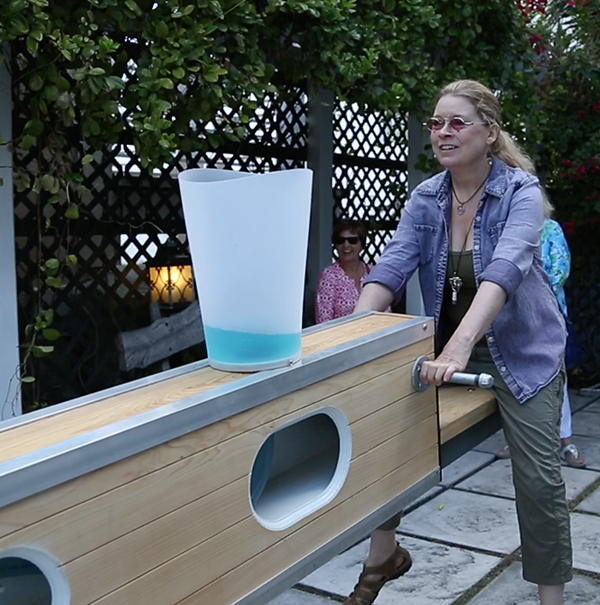 This year the artists followed the theme of water to give the seven galleries a cohesion that seemed to elevate the individual pieces into a collective whole. Bryan and I were pleasantly surprised to find contemporary art alive and thriving here. No more paintings of sea shells, lion fish, and happy representational beach scenes. More provocative images and sculptures were the norm. A vibrant new emerging group as well as the artists that paved the way for them were represented. 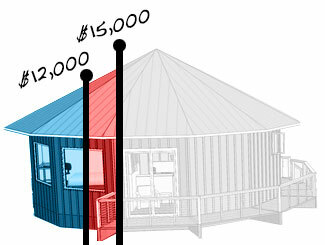 Even though our goal with the Indiegogo campaign was to raise enough to account for the first artist bungalow, I am breathless at the generosity that got us to the 30% mark. It is very humbling to be cared for in such a way as people demonstrate via their piggy banks, their interest in our project as well as their faith in Bryan and I.
Needless to say we are SO grateful. The next few days and weeks will be filled with the creation of wonderful goodies (perks) like the Junk-a-New Jewelry, Island Treasures, Silver Earrings, and a boatload of thank-you cards. These will then be shipped out to all you lovely people who helped. So we celebrate this milestone of a fairly respectable foundation for our first building. Thanks so much everybody! We will keep you posted as we continue to move forward. 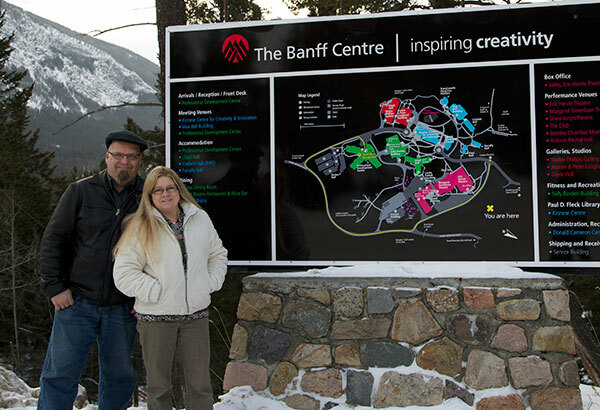 More exploration into the world of artist residencies led us to The Banff Center. 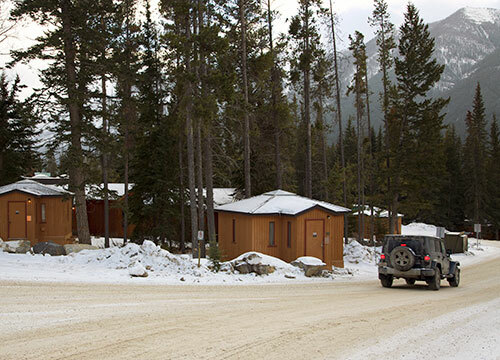 Art centers and residency programs come in a huge variety of sizes from single cabins to acres and acres, and The Banff Center leans into that second category. 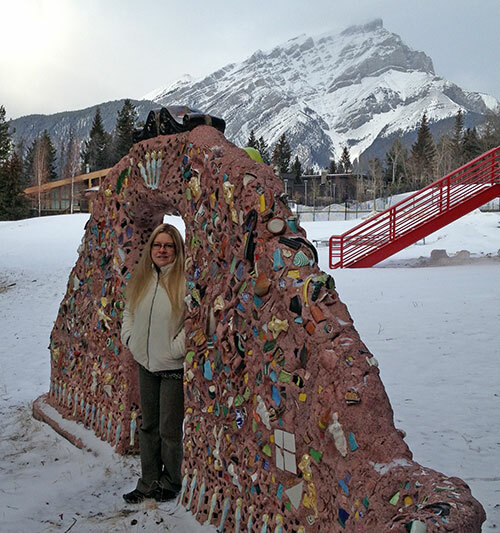 After being at Hui No’eau which was a good size, The Banff Center seemed almost overwhelming. But there was still something to learn there. Location can help inspiration. And the views from The Banff Center were breathtaking. Wedged in the Rocky Mountains, it was hard not to have a reflective moment looking out onto nature. Even the artist studios seemed to have a bit of a view. Because Exnihilo is so vastly different in location you might think that we would have nothing in common, but on the contrary, there seems to be common factors because of the location. Isolation is one. Even though Banff is a city center, you do get a sense of isolation and removal from the world, and therefore a different perspective. Along with launching our Indiegogo campaign, December has been chock full of more research as we fine tune our program to fit the restrictions of an island. We had the privilege of touring two fine establishments with wildly different approaches. The first one is Hui No'eau in the heart of the island of Maui. Caroline Killhour, the executive director of Hui No'eau (means artistic alliance) graciously agreed to meet with us and share some wisdom from her years at this amazing art center. I was immediately encouraged by her laid back demeanor. Running a center of this size has to be challenging, and the remote rural location means there are unique ways in which one brings art to the public. The facility, grounds, and programs were all impressive. What was really unique about the center is it was originally founded by a woman silversmith. What a treat to check out their studio space. Talk about the toys! While we were in the studio there were some high school age students working on various projects under a teacher's instruction. But what I really took note of is some of the facilities they had outside. 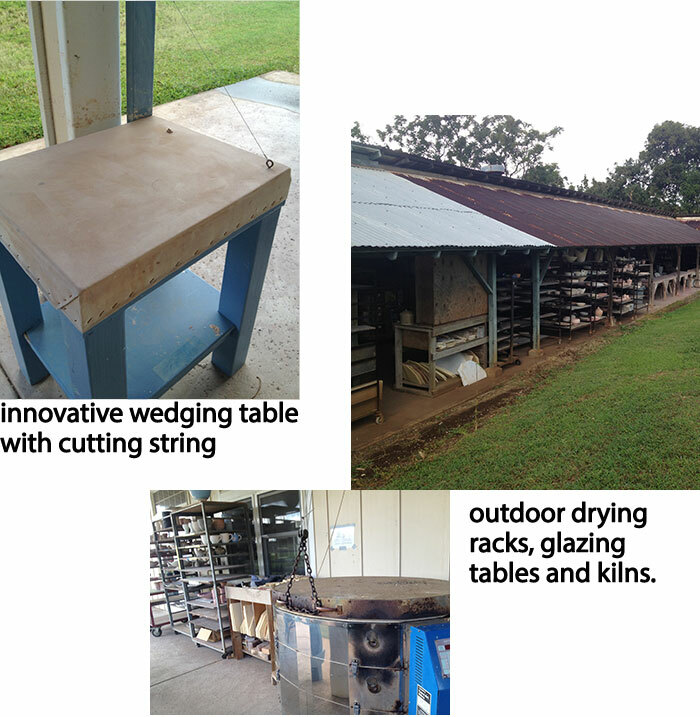 Most of their ceramics studios were open air with just an overhanging shelter. This is a similar concept we have for Exnihilo. We call it the ceramics courtyard and it will be constructed using recycled shipping containers. But being open the the elements raises certain problems that we wanted to address. Other aspects of the grounds and facilities were the expanse. There were walking paths to studio and classroom spaces as well as the residency. The main building housed a reception area and a gallery (another things our plans have in common). What was really great was the time that Caroline took to share some of what makes an art center like this important. Hui No'eau has a large education program that exposes children to different art forms that they wouldn't normally have exposure to. Thanks again to Caroline for her graciously meeting with us and giving us input on what it is to run an art center "island style". Check out more info about Hui No'eau.